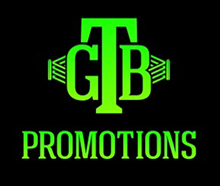 TUNICA, MS (July 13, 2016) – Undefeated brawler Justin Jones (18-0-1, 11 KOs) faces Terrance Marbra (8-3, 6 KOs) in a six-round heavyweight bout while unbeaten bantamweight prospect David Perez (6-0, 3 KOs) battles Adan Ortiz (9-1, 8 KOs) in featured undercard bouts Friday, July 15 from Horseshoe Tunica Hotel & Casino in Tunica, Mississippi. The July 15 event is headlined by a battle between explosive super lightweight contenders as Sergey Lipinets meets Walter Castillo in the main event of Premier Boxing Champions on ESPN and ESPN Deportes. Televised coverage begins at 9 p.m. ET/6 p.m. PT and features 2012 Olympic Silver medalist Tugstsogt Nyambayar facing veteran featherweight contender Rafael “Dynamite” Vazquez. Additional undercard action sees unbeaten 21-year-old Joey Bryant (15-0, 11 KOs) in an eight-round lightweight bout, undefeated local prospect Bobby Taylor (2-0, 1 KO) against Arkansas’ Tyrone Paige (0-1) in a four-round bout, Charlotte-prospect Fernando Arrellano (2-0, 2 KOs) takes on Tunica’s Raleigh Jeffries in a four-round super welterweight affair and Memphis-native Julius Dyis (4-1, 2 KOs) squares-off against Oscar Valdez (1-0, 1 KO) in super welterweight action. Rounding out the night of fights is unbeaten prospect Austin Dulay facing Terrance Roy in a four-round lightweight bout and welterweight Dedrick Bell in a six-round bout against Knoxville’s Aaron Anderson. Fighting out of Houston, the experienced Jones will return to the ring after delivering a fourth-round stoppage of Dwight Gipson in January. Jones looks for his third straight stoppage on Friday when he faces Marbra. The St. Petersburg, Florida-native is coming off a decision over once-beaten Ernest Mazyck in September of last year. At just 20-years-old, Perez is racking up experience after turning pro in April of 2015 with a first round stoppage over Deseante Armstrong. The Houston-native owns two other first round knockouts and most recently won a decision over Isau Duenez. He takes on the 24-year-old Sterling, Illinois-native who most recently stopped Terrance Roy in April.